Facebook is the world's largest social network with more than 400 million people chatting and sharing their lives. It's important for parents to understand how social networks work so that you can help your child to stay safe online. But you might also be on Facebook and need a bit of help. With so many applications, external services and friend requests to deal with, keeping the right information private is becoming even more important. Facebook has been redesigned to include a new set of Privacy controls to help you manage the information you share with the world. Facebook wants you to share everything with everyone. Bear this in mind when you are adding external services or new applications. Always double check the Padlock symbol on any update or request from an application to post updates. Make sure it is posting using your preferred privacy setting. We would always recommend that you limit the information you share to "Friends Only". Be careful of the "Friend of Friends" option. This may seem like a small group of people but in reality anyone connected to a friend of yours will be able to see your updates, you can't control who your friends connect with. Everyone -this will allow everyone in the world to see information flagged with this option. Friend of Friends -only your friends and their friends will be able to see this information. Be warned it's not as small a circle of people as you may think. Only Friends -we would suggest this is the setting you will want to use most often as it provides control over your updates but still allows you to socialise with people you know. No One - use this to make sure certain information is shared with no one. Customise - select individual people to share information with. Useful if you want to share your email address with only one person or a very small group of people. Your Profile information hold details about you as a person, your name, what you like and don't like as well as photographs and relationships. We would recommend all this information is kept to Friends Only. Family and relationship - family members, relationship status, interested in and looking for. Be very careful what information you share here. We would strongly recommend setting all this information to no one. This will mean you have to tell someone how to contact you. This will help to keep you safer and control who has your contact information. Current address - be very careful who you share this with. We would recommend no one or leave it blank. Facebook has lots of applications written by third parties (not Facebook). Be careful what information you allow these applications to access, it's very easy to give away more than you realise. With Facebook connect you can login at external websites using your Facebook login. Again be careful what information you allow these sites to access and what privileges they have to update your account. Many applications and external sites like to send a message into your feed about the actions you take with them. Make sure you are 100% happy for others to see those actions. Facebook has more than 400 million users, and recently Facebook gave people the option to allow anyone in the world to search for Facebook members. This setting is OFF by default and we would strongly recommend you DO NOT turn it on, doing so will expose your name and some personal details to the world's search engines like Google Search and Microsoft Bing. You can also control if your profile appears in the localised Facebook user search system, again we would suggest limiting this feature off. Public search results - this setting only allows search engines to access your publicly available information and any information you set to Everyone. This does not include anything you've shared with just your friends or friends of friends (see preview). This shows you any Facebook users you have blocked from seeing all your information. You can add new users or remove users from being blocked using this screen. You can block a user by entering their name or email address, they will then be prevented from seeing any of your updates in future. At any time you can use this option to see what information different types of privacy settings will let people see, very handy to double check you have the settings the way you want them. Someone may post something abusive or hurtful on your profile or about you on Facebook in a group or Fan page. It's important to know that this may be a crime called harassment if there are several postings and you should tell your parents or carer immediately so they can help you get it removed. If the incident is serious you may want to speak to the police with your parents or carer so they can help you get it resolved and more importantly stop it from happening in the future. If you want to tell Facebook about abusive or nasty posts look for a REPORT option on each update, if it's a picture look for a REPORT option just under the photograph. Sadly it can take Facebook a while to remove material that is offensive. Keep reporting it and if you are not satisfied with the response consider involving the police. 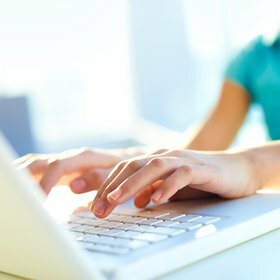 You should report offensive material or pictures involving children or young people to CEOP the Child Exploitation and Online Protection unit of the police. CEOP was set up specifically to deal with child protection issues online. Please note CEOP is not able to get involved in cyber bullying incidents, only about the concerns of the safety of young people online. Facebook now allows its members to 'follow' other Facebook profiles. This works differently to adding friends - if a Facebook user turns on the Follow feature, a button will appear on their profile. Clicking this button allows individual users to ‘follow’ that page, meaning all their public posts will show up in that user’s news feed. If you turn on the Follow feature, you will automatically follow all of your existing friends, with the option to change your settings at a later date. If you are already friends with a person you will also continue to see all their private updates. If you want to allow your profile to be followed check out Facebook's follow page. Choosing this option, you will also get some extra options to allow subscribers to comment on your public posts - just click the big green button to get started. Following a Facebook profile is a little different to simply 'liking' a Facebook page. Facebook have released updated guidance on the difference between Facebook Profiles with followers and traditional Facebook Pages. Pages are for mostly for brands or products. They have advanced marketing features for managing a brand or business on Facebook. Pages can be maintained by multiple people, allowing members of a team to analyse the types of people looking at their brand and target their posts by language and location. Profiles with followers are for individuals who want to connect with friends, family and others who might be interested in them. People using this option can post updates from computers and mobile devices, allowing their followers to see their public posts. What this means, in terms of safety and privacy, is that anything you post could become public. Even if you reject a friend request, a user can still choose to follow your profile and see your public posts. If you do choose to turn on the ‘follow’ option, you will see a dropdown menu where you write your posts. This is set to ‘public’ as a default, meaning your posts are automatically visible to your followers. If you don’t want your posts to be public, you can select ‘friends’ in the dropdown menu so that only your friends can see it. You can even select a custom option that allows you to choose certain groups of friends or family. It’s always safest to stay in control of who you share content with on social networks – before you post something as 'public', ask yourself if you are happy for it to exist online forever, visible to all your friends, family, teachers and future employers. Public really does mean public. One way of keeping on top of your online safety and privacy is to make sure that any unwanted content on your social networks is deleted. If you have messages in your Facebook profile that you want to delete, it’s worth noting that this may not be as straightforward as it seems. The following guide will help you understand the difference between “archiving” messages, which keeps the information in your account, and deleting them permanently. When you go into the ‘messages’ area of your Facebook profile, you will see a list of the messages in your inbox on the left of the page, with a reading pane to the right that displays the currently selected message. Your inbox also contains ‘chats’ which Facebook treats in the same way as messages. If you hover over one of the messages in your inbox, you’ll see a little ‘x’ appear. Naturally, we associate this ‘x’ with deleting messages – we click on x’s all the time to close documents and windows and delete emails. However, in your Facebook inbox, clicking ‘x’ will send your messages to an archive folder. You may already have some sitting in there that you thought you’d deleted. Above your inbox, you’ll see three headings: Inbox, Other, and More. The ‘Other’ folder holds messages from pages you follow and events you’ve subscribed to. To see your archived messages, click on ‘More’ and select ‘Archived’ from the dropdown menu. To delete messages permanently, you’ll need to find the message - either in your inbox, other folder, or archives, and select it to display it in the reading pane. Above the reading pane, you’ll see another dropdown menu called 'Actions'. In this menu, choose either 'Delete Messages…' to select and delete individual messages, or 'Delete Conversation…' to delete the entire thread of messages between you and that friend. This might all seem a little complicated, but once you've gone through the process, you’ll find it's quite a simple way to locate and delete messages and chats. Share this page with your friends and family, to make sure they are also aware of how to delete messages from Facebook properly. You can also stay up to date with our helpful tips and advice by liking our Facebook page. Do bear in mind that this function can only be used to delete messages, chats etc. It cannot be used to permanently delete posts that have been made by other users on your wall.